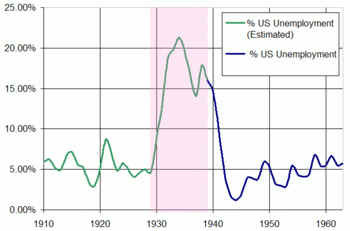 See also The Second Unnecessary US Depression: 1937-1938 by Wm Schmidt, Ph.D. Put America in Needless Great Peril. A MASSIVE PROGRAM OF PUBLIC WORKS IS NEEDED NOW. (8/7/2015) DEFLATION WILL BE NO FUN. IT CAN SPIRAL INTO A DEPRESSION. choices, Deflation lasted 18 years in Britain from 1920 to 1938.
here only try to please the financial community. (C) 2013-2015 All rights reserved. William Schmidt, Ph.D.
Our Tiger/Peerless Stock Market HOTLINE Called The 2011 Top. Just as in 1987, 1998, 2000, 2002, 2007 and 2008. Don't be a deer in the Hotline. READ KEYNES IN THE ORIGINAL. and spending AND lay off their workers and cut production. TARIFFS and PROTECTIONISM - "They do the trick." Poor people spend all their money very quickly. The rich do not. or invest it, epecially if they are frightened and bearish.w, not contract. 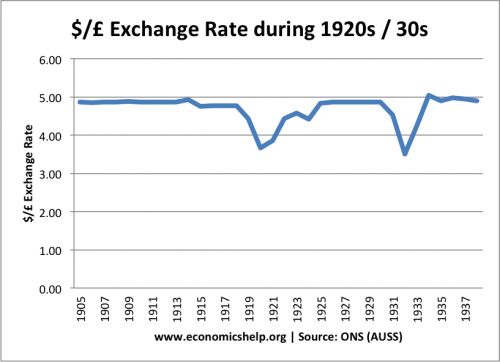 UK's GNP fell 25% between 1918 and 1921 and did not recover from this until 1939. Millions were unemployed for a generation. It Did Not Have To Be This Way. The British experience with Financial Orthodoxy should be a warning to all. the dominant elites supress the truth about how destructive their policies were. special Public Works programs were necessary. especially under Margaret Thatcher and David Cameron. of Soviet-like socialism and central planning. the Liberal Party in 1928. British Unemployment in the inter-war years, 1920-1939, never went much below 8%. Think of the suffering, povery and the wasted potential. This did not have to happen. This path was chosen by the political and financial elites. was the only path to economic salvation, they always claimed. wage demands and to protect the rich from a successful political challenge. the physical separation of classes in England must have played some role. "Bolshevism". They loved using this word. It stopped further thought. General Strike, this too was cakled "Bolshevism". It must be suppressed. No mercy was to be shown them, said Chancellor of the Exchequer Winston Churchill. (All this reminds me an old IWW song. was nearly always punctated by long periods of enforced idleness. programs actually succeeded, what was the proper role for rich and for the "City". might not be needed much. Surely they would not be as important or so well-paid. Gold Standard in 1925, Churchill immediately caused a sudden plunge in coal exports. Miners were laid off or had their wages cut. They went on strike in strike. saw the Liberal Party, not the Conservative Party, as their main political enemy. It was the Liberal Party they fought electorally most often in urban constituencies. to the upstart Liberal economist Keynes. nerve. They hid behind the orthorodox Treasury view. Prime Minster by a landslide. 1. Balance the Budget no matter the costs. 2. Private sector jobs are more legitimate than Public Sector. 3. Take pride in a rising and lofty Dollar (Pound Sterling). 5. No taxes on stock trades. No limits on executive pay. 6. Encourage Absolutely Free International Trade. 7. Permit private investment capital freely to go abroad. 8. Lower prices were desirable. money from a bank for a mortgage. American Bankers now pay very low interest on loans from the Federal Reserve. 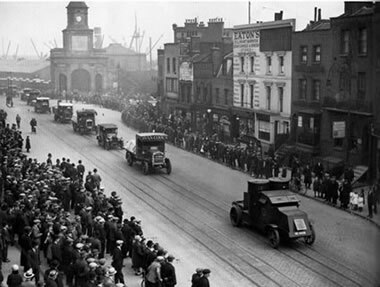 were when the "City" in London ruled England so absolutely in the 1920s and 1930s..
rhetorical lapses by Democrats made in the middle of their political campaigns. community, just as they saw these interests. British Orthodoxy are familiar to most British economists, not just Keynesians. Government launched Public Works' programs when Private Investment failed. Public Works is not yet widely accepted by the Political and Financial Elites in America. But it is growing among the people. They want decent jobs! They are tired of waiting. Americans understand that the American Financial Orthodoxy and "Trickle-Down"
earnngs, make Wall Street happy and get even higher pay. Rate for the unskilled is way over 12%. Americans are told by Obama and the Democrats to be patient. "Don't rock the boat." 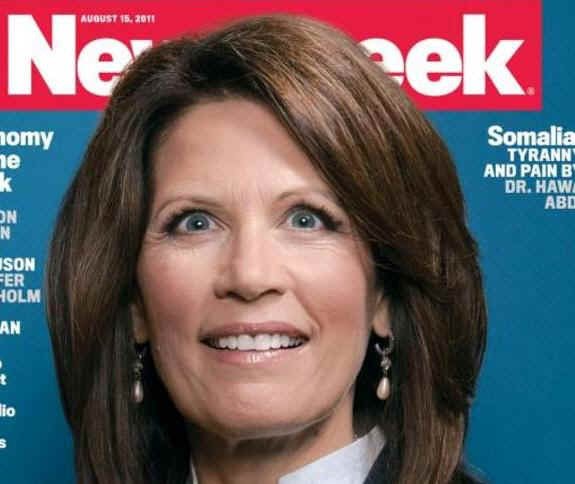 "The Republicans would make things worse". "We Democrats know what we're doing." "The slow recovery is the fault of Republican obstructionism." Do not buy these excuses. support the failing policy of Orthodoxy. What will change their economic policies? England's experience does not make for hope. Protest marches did not work. take away Wall Street's exceptional powers. savings in the stock market. Wall Street may be essential, but it should not be so dominant. which is often parasitic and has no social value. Of course, the Big Banks must be broken up. They're bigger than ever. They could easily shut down the whole economy in the next "Crash". year after year, after year, after year. do not shake off their ideological binkers. What Underlay The Tenets of Financial Orthodoxy? past government debt and restore the Pound Sterling to the Gold Standard. bureaucrats and the private bankers in London's financial community, the "City". Money that private investment drew from. England hibernated. Its economy stagnated. Its industrial north suffered most. obsolescence and a decline in competiveness internationally. brought economic suffering and pain, the more this was considered a positive development. We Americans now seem doomed be victimized in the same way by our own leadership. replaced by big multi-national corporations wko import most of what they sell. matters to most Democrats in Washington, too. Austerity and a Strong Dollar as their only solutions to what ails our economy? Why do they not re-think their failed policies. When will they admit they were wrong? their rich supporters, stop balancing national budgets on the back of working people. or cease calling for Deflation and a much stronger national currency than ours can. England was a Plutocracy in the inter-war years. America is a Plutocracy now. marches. There were demonstrations. There was even a General Strike. after year, government after government, never changed their thinking. . .. .
From 1921 to 1939, British Unemployment was always above a million people. In 1933 it reached 3 million. The number of hours typically worked also fell. 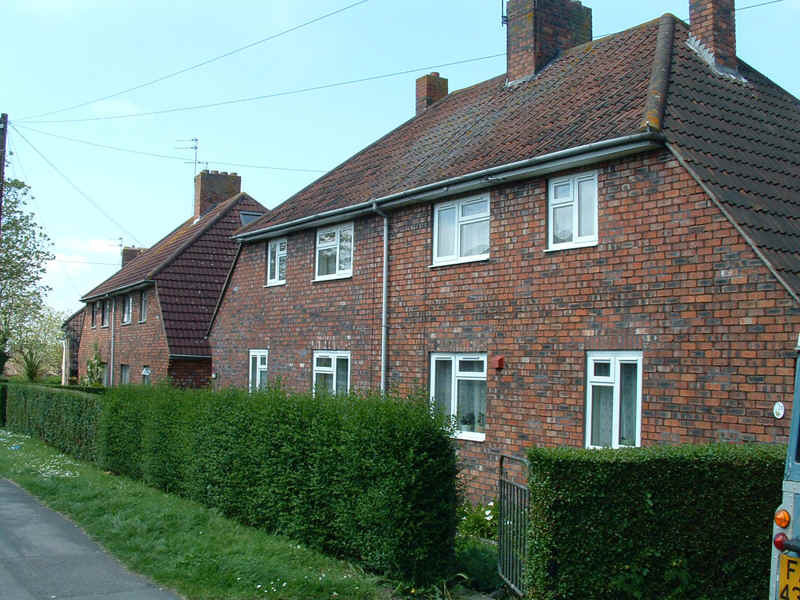 council houses was rendered almost meaningless. in the UK than in the US or Germany. Why did private investment fail in this? The primary answer: it was was not sufficently profitable to make such investments. consumers were poor, this a result of the high long-term unemployment. of this largely symbolic, patriotic victory was immense. made loans more expensive and also reduced consumer borrowing. as a world ppower. Tory nationalists like Churchill were cheered by this. and income to benefit from the Deflaton. circle turned into a vortex in 1930.
blamed the introduction of unemployment benefits in 1920. These "benefits"
in the aftermath of Churchill's return to the Gold Standard. and Poverty between 1919 and 1937.
so seldom ask why the unemployed had to be remain unemployed so long? from England's locust years' experience. Apparently, that is asking too much. study the British experience closely. This was the subject of my Doctoral Dissertation at Columbia University. want to read this." Now 40 years later, it is particularly timely. by England's top policy-makers in its dismal locust years: 1919-1937.
flight of capital abroad and poverty and poor health for tens of millions of Americans..
despite the Continuing High Unemployment and Substantial Long-Term Poverty. Why Did Financial Orthodoxy Prevail? 2) The Chancellors' Political Goals Made Him More Orthodox. 3) The Treasury Department was Home to the High Priests of Orthodoxy. Why? 4) The Rich Man's Financial Orthodoxy. The Fabian Socialists' View of the Financial Orthodoxy. 7) Churchill Seeks To Dramatically Boost Spending on RAF: 1933-1936. Adopted by Germany and Sweden, whose economies recovered quickly. of The Exchequer in British Cabinet Politics: 1919-1937", was quite simple. this financial orthodoxy were always rejected. no matter how unprepared the RAF was as Germany rearmed. "No"s to all new spending programs. misery for the millions of people stuck in poverty and poor health. always failed to bring about a real economic recovery and full employment. in the US, the UK on in Europe. This was the Ideology of Austerity. among the poorest in society. had a big emotional component. borrowing needs and maximize private investment and economic growth. would "crowd out" private finance. Why did the political leadership fail so badly? the Cabinet, someone who held views and opinions like their own. to each other also reinforced like thinking. who became Prime Ministers as well as the current Chancellors of the Exchequer. second-in-command and heir-apparent to the office of Prime Minister. Why, they thought, take a chance and risk becoming Prime Minister? Chancellor to stick to an orthodox financial path. In fact, many inter-war Chancellors did become Prime Ministers. could ask the Chancellor to resign at any time. to the Prime Ministership if he said anything that would disturb the "City"
a reputation as being resistant to government waste? Community secretly pulled political strings, as Marxists might allege. make big campaign contributions, as in America, There was no such need. accept. When they were over-ruled in the Cabinet, they formally dissented. to be maintaining the grand tradition of the Treasury and the Chancellor. the Financial Orthodoxy in the mind of the Public and the Press. at the Public Records office in London. 3) The Treasury Was Home to The High Priests of Financial Orthodoxy. seem always to have been accepted. They were never challenged. an appeal to patriotism would be successful. Why were the Treasury civil servants so orthodox in their thinking? who have need of it." 2008 now shows just how fatally flawed this orthodoxy is..
to be borrowed could thereby be made much bigger. create enough jobs for nearly two decades in England. that it would make more of the things that working people needed. money allowed British brokerages and banks to speculate in stocks. boosted employment as much as planned public works would have. did the Treasury side with the rich against the unemployed poor? of the 1928 Liberal Public Works' investments' Plan. and responsibly match government spending with government revenue..
get and challenge the spending of any other department. that their preferred policies were failing the country. This was TRADITION. It was always easier for Treasury civil servants to do what they had always done. Marginal Investment, Hoarding, Money Flow, Capital Outflow or the Multiplier. The Bank of England did not print more money in bad times. on changing events to the Chancellor. key banks and brokerages. It was the Treasury, on behalf of the"City"
regularly with the Chancellors, fully accepted the prevailing Orthodoxy. investment market or the London financial community in the "City". Political Party leadership in the 1920s and 1930s were all very well-off. and policies, we have to consider what I call the "Rich Man's Perspective." want my savings to deteriorate in value? I want it to appreciate in value. I want my loans paid back in money that is more dear than when I loaned it? on the Bourse also rise? And what's this about more public employment? All my friends at the Club agree, they are lazy and drunken incompetents. to tell us how to run our factories or stores. budget balancing and protecting the Pound Sterling at all costs. jobs. Why they wondered the jobless put to work building houses? such was exactly the experience of England's large working class. as well as their profits. of the economy. Health care. Schools. Housing. Transportation. BBC. who founded the London School of Economics. in other spending ministries, these orthodoxies fit the needs of the Treasury staff. They delighted in thinking themselves as the Elite among civil servants in the UK. moderate sized expenditures elsewhere had to be approved by the Treasury. London School of Economics was founded by Fabians. Conservative Austen Chamberlain, brother of Neville Chamberlain. Austen Chamberlain was in position to become the next Prime Minister. Lesser known Robert Horne became Chancellor for a few months. resigned the party leadership ...and was succeeded by a revived Bonar Law. role in endin g the Lloyd George national government. refused work in Bonar Law's new Cabinet in a lesser role. Baldwin's government, preferring private work in the "City"
in the area of foreign investments. and Chancellor of the Exchequer. among the best political posts to step up from to become Prime Minister. as Financial Secretary to the Treasury. as a businessman, and acquired a reputation as a modernizing industrialist. chose to leave the coalition, against the wishes of most of the party leadership. as Prime Minister and until August 1923, as Chancellor. of it when he was Prime Minister. Baldwin appointed Winston Churchill as Chancellor in January 1924.
the budget. He claimed he wanted Britain to return to pre-war conditions. pre-war exchange was estimated to add up to 10% in costs to the industry." 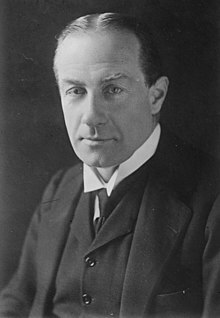 Stanley Baldwin, fell back onto slogans like "Safety First" and "Trust Baldwin"
to ward off the Liberal Party call for a massive public works program. and that would certainly cause a Depression. Keynes was exactly right. A Depression followed three years later. banking as well as an increase in pensions to boost spending power. government could make up for this and reduce unemployment. were busy driving up the value of the Pound. This made imports easy. investments in industrial production and hiring. 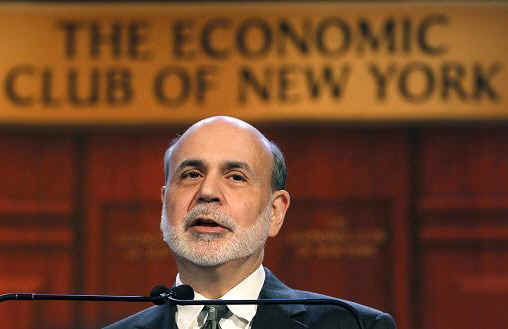 the advise of his economic advisers at the Treasury and Bank of England. Britain officially returned Sterling to the Gold Standard. December 1930 Keynes publishes A Treatise on Money. in it, he distinguishes between Investment and Saving. If Investment exceeds Saving, there will be inflation Keynes says. If Saving exceeds Investment there will be recession. Lloyd George's key economic advisors at the Paris Peace Conference of 1919.
be listened to by the establishment, by policy makers or by the public. part of this program. Perhaps, many felt there was no way to reform Capitalism. succeeded in putting through even greater and more difficult tasks in the interests of the nation." Liberal Candidates on 1st March, 1929. "THE word written to-day on the hearts of British people, and graven on their minds is Unemployment. For eight years, more than a million British workers, able and eager to work, have been denied the opportunity. At the end of 1928 the total reached a million and a half; a quarter of a million more than a year before. These workers with their dependents, represent four or five million souls. They are a very nation, denied the opportunity to earn their daily bread, condemned to hardship, to wearing anxiety and often to physical and mental demoralisation. What a tragedy of human suffering; what a waste of fine resources; what a bankruptcy of statesmanship! This is by far the biggest single issue before the country. All parties will claim to have a solution, It is the task of the electors to decide which solution is the most likely to achieve success. In making a decision, they must consider not only the superficial attractiveness of the various proposals, but the extent to which they are based on sound reasoning and patient enquiry, and will be backed by driving power and by experience. This is a brief outline of the proposals of the Liberal Party. They have been developed as the result of enquiries of the most exhaustive character, lasting over years; indeed, even political opponents have paid tribute to the thoroughness and the ability put into the work of investigation. because the Treasury was already paying him an unemployment "dole". Keynes Described but Did Not Quantify The Multiplier Effect"
took this concept and first quantified it in 1931. 1919-1938, increasingly sound like America after 2009. MUCH WORSE UNDER LABOUR PARTY. 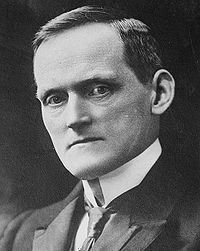 Philip Smowden, Labour's Chancellor of the Exchequer, 1924 and 1929-1931.
hatred" for and "betrayal" of those in the rank and file of the Labour Party. See As It Happened (1954). the Bank of England and the "City" (London's financial community. wages while raising income taxes on average workers from 22.5% to 25%. ruin that would face us." actually rose to 3,000,000. 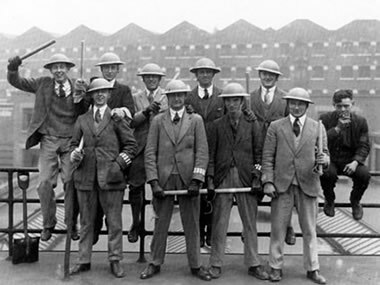 There was a Mutiny in the Royal Navy. Pound and in Britain was forced leave the Gold Standard in panic mode. MacDonald were expelled from the Labour Party. Why did the Labour Chancellor support Austerity? unpopular. So, why did he accept its dictates so completely? of their "betters" when they were called to form a government. alleged to have said in office in 1930: "No one told us what to do". expenditures and measures to ease the burden on the unemployed. weakened Pound? Who would benefit? Who would lose? government jobs boost Labour Party voting? expenditures by getting them off the 'Dole'? of local grocers, the cobblers and the dry goods' haberdashers?" these questions of the Treasury civil servants under his command. to the Chancellor sitting on ice surrounded by 'the penguins of the City'. benches roundly cheered Lloyd George. but we did not get that from some of our leaders." was the point of voting Labour?". view that there was no way to pay for massive public works programs. He called such talk "Bolshevism run mad". For this he was knighted. Snowden was expelled from the Labor Party. 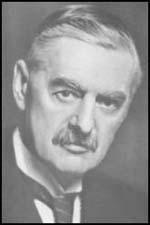 As Viscount Snowden,"
Neville Chamberlain, Chancellor of the Exchequer, 1931-1937.
a spending minister. This was Chamberlain's doing. read his own departmental briefs, but he seemed to read everyone else's as well." certainly time there was a change". official secrecy rule was changed to 30 years in 1966. In 1925 John Maynard Keynes married the ballerina, Lydia Lopokova, and moved to Tilton, a farmhouse near Firle in East Sussex. The marriage proved a great success and when apart they wrote every day. The couple had no children.Other members of the Bloomsbury Group, including Virgina Woolf, Leonard Woolf, Vanessa Bell, Clive Bell, and Duncan Grant also lived in the area. Keynes challenged as false the analogy between national and individual finances. Keynes became increasingly interested in what he called "the management of the economy". According to Alec Cairncross: "Two forms of economic instability preoccupied him. Of these the first was instability of prices, inflation, deflation, and all that went with them; the second was unemployment and the fluctuations in economic activity giving rise to it. The two were, of course, interconnected since the movement of prices reacted on the level of activity: but the analytical approach to the problem of inflation, for example, was very different from the analysis necessary for an explanation of unemployment." Keynes visited the Soviet Union in 1926. He was interested in the economic measures being taken by the communist regime and when he returned to England he wrote The End of Laissez-Faire. After the onset on the Great Depression in 1929, Keynes began to address the problems of unemployment. In a series of articles, The Means to Prosperity, written in The Times, Keynes argued that the government should "spend its way out of the depression". During this period he was a member of the Liberal Party and worked closely with its leader, David Lloyd George. 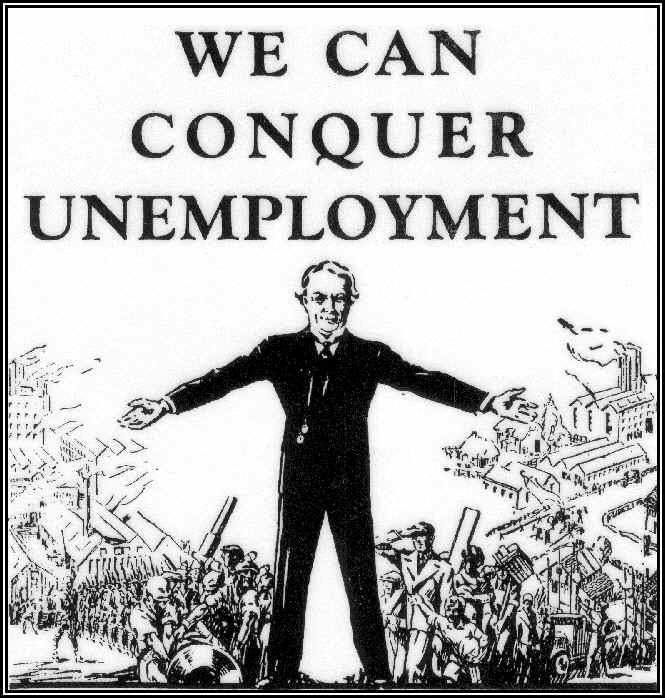 In 1929 Lloyd George published a pamphlet, We Can Conquer Unemployment, where he proposed a government scheme where 350,000 men were to be employed on road-building, 60,000 on housing, 60,000 on telephone development and 62,000 on electrical development. The cost would be £250 million, and the money would be raised by loan. Keynes also published a pamphlet supporting Lloyd George's scheme. These views impressed Richard Tawney who wrote a letter to Ramsay MacDonald, the leader of the Labour Party, about the forthcoming election: "If the Labour Election Programme is to be of any use it must have something concrete and definite about unemployment... What is required is a definite statement that (a) Labour Government will initiate productive work on a larger scale, and will raise a loan for the purpose. (b) That it will maintain from national funds all men not absorbed in such work." MacDonald refused to be persuaded by Tawney's ideas and rejected the idea that unemployment could be cured by public works. In the 1929 General Election the Conservatives won 8,664,000 votes, the Labour Party 8,360,000 and the Liberals 5,300,000. However, the bias of the system worked in Labour's favour, and in the House of Commons the party won 287 seats, the Conservatives 261 and the Liberals 59. MacDonald became Prime Minister again, but as before, he still had to rely on the support of the Liberals to hold onto power. The election of the Labour Government coincided with an economic depression and Ramsay MacDonald was faced with the problem of growing unemployment. In January 1929, 1,433,000 people were out of work, a year later it reached 1,533,000. By March 1930, the figure was 1,731,000. In June it reached 1,946,000 and by the end of the year it reached a staggering 2,725,000. That month MacDonald invited a group of economists, including John Maynard Keynes, J. A. Hobson, George Douglas Cole and Walter Layton, to discuss this problem. In March 1931 Ramsay MacDonald asked Sir George May, to form a committee to look into Britain's economic problems. The committee included two members that had been nominated from the three main political parties. At the same time, John Maynard Keynes, the chairman of the Economic Advisory Council, published his report on the causes and remedies for the depression. This included an increase in public spending and by curtailing British investment overseas. Philip Snowden rejected these ideas and this was followed by the resignation of Charles Trevelyan, the Minister of Education. "For some time I have realised that I am very much out of sympathy with the general method of Government policy. In the present disastrous condition of trade it seems to me that the crisis requires big Socialist measures. We ought to be demonstrating to the country the alternatives to economy and protection. Our value as a Government today should be to make people realise that Socialism is that alternative." When the May Committee produced its report in July, 1931, it forecast a huge budget deficit of £120 million and recommended that the government should reduce its expenditure by £97,000,000, including a £67,000,000 cut in unemployment benefits. The two Labour Party nominees on the committee, Arthur Pugh and Charles Latham, refused to endorse the report. As David W. Howell has pointed out: "A committee majority of actuaries, accountants, and bankers produced a report urging drastic economies; Latham and Pugh wrote a minority report that largely reflected the thinking of the TUC and its research department. Although they accepted the majority's contentious estimate of the budget deficit as £120 million and endorsed some economies, they considered the underlying economic difficulties not to be the result of excessive public expenditure, but of post-war deflation, the return to the gold standard, and the fall in world prices. An equitable solution should include taxation of holders of fixed-interest securities who had benefited from the fall in prices." The cabinet decided to form a committee consisting of Ramsay MacDonald, Philip Snowden, Arthur Henderson, Jimmy Thomas and William Graham to consider the report. On 5th August, John Maynard Keynes wrote to MacDonald, describing the May Report as "the most foolish document I ever had the misfortune to read." He argued that the committee's recommendations clearly represented "an effort to make the existing deflation effective by bringing incomes down to the level of prices" and if adopted in isolation, they would result in "a most gross perversion of social justice". Keynes suggested that the best way to deal with the crisis was to leave the gold standard and devalue sterling. Two days later, Sir Ernest Harvey, the deputy governor of the Bank of England, wrote to Snowden to say that in the last four weeks the Bank had lost more than £60 million in gold and foreign exchange, in defending sterling. He added that there was almost no foreign exchange left. Philip Snowden presented his recommendations to the MacDonald Committee that included the plan to raise approximately £90 million from increased taxation and to cut expenditure by £99 million. £67 million was to come from unemployment insurance, £12 million from education and the rest from the armed services, roads and a variety of smaller programmes. Arthur Henderson and William Graham rejected the idea of the proposed cut in unemployment benefit and the meeting ended without any decisions being made. The cabinet met on 19th August but they were unable to agree on Snowden's proposals. He warned that balancing the budget was the only way to restore confidence in sterling. Snowden argued that if his recommendations were not accepted, sterling would collapse. He added "that if sterling went the whole international financial structure would collapse, and there would be no comparison between the present depression and the chaos and ruin that would face us." The following day MacDonald and Snowden had a private meeting with Neville Chamberlain, Samuel Hoare, Herbert Samuel and Donald MacLean to discuss the plans to cut government expenditure. Chamberlain argued against the increase in taxation and called for further cuts in unemployment benefit. MacDonald also had meetings with trade union leaders, including Walter Citrine and Ernest Bevin. They made it clear they would resist any attempts to put "new burdens on the unemployed". At another meeting of the Cabinet on 20th August, Arthur Henderson argued that rather do what the bankers wanted, Labour should had over responsibility to the Conservatives and Liberals and leave office as a united party. According to Malcolm MacDonald, the opposition to the cuts in public expenditure was led by Henderson, Albert Alexander and William Graham. MacDonald went to see George V about the economic crisis on 23rd August. He warned the King that several Cabinet ministers were likely to resign if he tried to cut unemployment benefit. After another Cabinet meeting where no agreement about how to deal with the economic crisis could be achieved, Ramsay MacDonald went to Buckingham Palace to resign. Sir Clive Wigram, the King's private secretary, later recalled that George V "impressed upon the Prime Minister that he was the only man to lead the country through the crisis and hoped that he would reconsider the situation." At a meeting with Stanley Baldwin, Neville Chamberlain and Herbert Samuel MacDonald told them that if he joined a National Government it "meant his death warrant". According to Chamberlain he said "he would be a ridiculous figure unable to command support and would bring odium on us as well as himself." On 24th August 1931 MacDonald returned to the palace and told the King that he had the Cabinet's resignation in his pocket. The King replied that he hoped that MacDonald "would help in the formation of a National Government." He added that by "remaining at his post, his position and reputation would be much more enhanced than if he surrendered the Government of the country at such a crisis." Eventually, he agreed to form a National Government. John Maynard Keynes was extremely active in his campaign to encourage the government to take more responsibility for running the economy. In 1931 he agreed an amalgamation of the Nation with the New Statesman, a journal owned by the Fabian Society. Keynes now became a regular contributor to what was now Britain's leading intellectual weekly. In 1936 Keynes published his most important book A General Theory of Employment, Interest and Money. It revolutionized economic theory by showing how unemployment could occur involuntarily. In the book Keynes argued that the lack of demand for goods and rising unemployment could be countered by increased government expenditure to stimulate the economy. His views on the planned economy influenced President Franklin D. Roosevelt and was a factor in the introduction of the New Deal and the economic policies of Britain's post-war Labour Government. During the Second World War Keynes was an unpaid advisor to the Chancellor of the Exchequer and wrote the influential How to Pay for the War (1940). He attended the Bretton Woods Conference in 1944 and the Savannah Conference in 1946. He was also involved in the negotiations on Lend-Lease and the US loan to Britain. national unemployment levels of 25%. and busts of a capitalist, market driven economy could be greatly reduced. because the working class has so little money and cannot buy what is produced. is just too much fear. save his extra dollar and put it into a bank that is too scared to make loans. for the government to hire the unemployed in massive Public Works programs. challenges the benefits of TVA or Boulder Dam? Secretary put the fear of "over-speculation" and "inflation" in FDR's ear. reductions of WPA and other New Deal jobs' and public works' programs. in six months and unemployment rose sharply. balance the budget in the middle of the Depression. spending and roll back wage increases. Working people were hit the hardest. of the Nazis and Communists. Keynes counter-cyclical fiscal writings were not translated int French until 1942. The distress of the population had political consequences. A riot on 6 February 1934 led to the fall of the government and a nation which had traditionally leaned to the right elected the socialist Popular Front government in 1936. The Popular Front, an alliance of Socialists and Radicals with support outside the government of the Communists, was led by Léon Blum. The Popular Front introduced many measures such as the 40-hour working week and holidays with pay, but Blum felt handicapped in introducing more than limited changes to the economy because of his dependence on the more right-wing Radicals. This did little to placate a population anxious for change and a wave of strikes broke involving two million workers  Factories were occupied and membership of the Communist party rose to 300,000 in 1937. In the night of 78 June 1936, employers and unions signed the Matignon agreement by which they raised wages by seven to 15 per cent to increase workers' buying power, to stimulate the economy and to bring an end to the strikes. Blum brought in measures to control cereal prices, to insist that the Banque de France place the national interest above that of the shareholders, and nationalised the armaments industry. That upset the Left, which saw too much legislation, and did nothing to please the Right, which believed that state involvement in a capitalist economy would bring about disaster. The Radicals would not accept currency controls and the result of the unrest was that capital fled abroad. That weakened the economy and employers tried to minimise the results of the Matignon agreement, which created more social tension and in turn a further flight of capital. Devaluation of the franc by 30 per cent became inevitable, despite government assurances that it would not happen. In January 1937, Blum went further and announced "a pause" to social reforms. The Senate refused to give him emergency powers to cope with the recession and he resigned on 20 June 1937 and the first Popular Front began to fall apart. A second had even less success. The President, Lebrun, called on the Radical leader Édouard Daladier to form a new government without the Socialists. Daladier relied on liberal economics to rescue, or at any rate keep afloat the economy on a worldwide sea of financial difficulties. 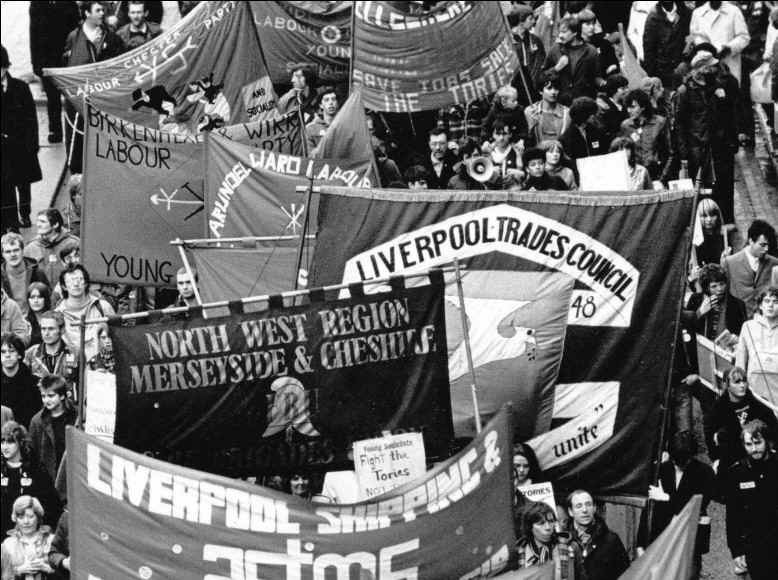 Employers and police acted harshly against strikers and determined to root out "troublemakers". In 1938 the Senate gave Daladier the emergency powers that Blum had been denied and the government favoured employers over workers in industrial disputes, particularly in companies which had come close to coming under the control of their workers. 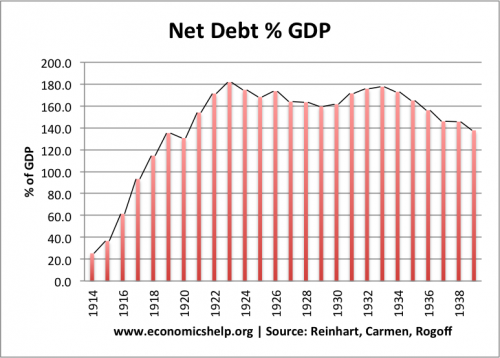 ran large deficits, and within two years had spent itself out of the Depression. " Keynes' Multiplier Now Is Smaller. in our times, compared to the 1930s. might hope because of these projects..
massive public works program might slightly serve to increase interest rates. great to cause any chance of wage inflation. agreements that have allowed foreign imports to supplant domestic manufacture. cycle and provide greater employment through government intervention. increase employment at a time when wages were falling. domestic lending, or even by direct capital expenditures by the government." Obama naively asserts that American workers don't have the skills to compete. not in American workers or even American consumers. whatsoever of these economic lessons or the general theories of Keynes. position on the Depression is that it was caused by tight Fed monetary policies. programs in 2009. These did create some jobs, but not nearly enough of them. that he understands the basics of Keynes, taught in every ECON-101. The 1930's All Over Again. Full Employment and a restored infrastructure in America. And that is what the stock market is now saying. suspended habeas corpus for far less grave offenses to the nation in the Civil War. tolerated the tea party putting a dagger at the US government. cost-plus Iraq war contracts. The Iraq War will cost the US more than 3 trillion. Bush-Cheney did nothing to raise the revenues to pay for this war! for the elderly and the needy would each have to be shredded. Obama is trapped by his Chicago free market thinking and Wall Street advisors. know-nothing, cultist pawns of the predator super-rich. camapign financiers, Obama actually threatens capitalism, as FDR never did. "Obama is but a figurehead of an unelected government in the US"
"In the ...US budget debacle, Obama is pathetically doing the bidding of Wall Street." "The debt ceiling crisis is a manufactured one, engineered to extort concessions that will lock the middle class in debt peonage for decades to come. " "the masters whip us all into austere servitude.."
"Recall that Obamas bid for presidential election in 2008 was avowedly based on ending the US-led wars in Afghanistan and Iraq. He also denounced his incumbent rival George W Bush over the use of special powers that enabled such aberrations as the Guantanamo Bay concentration camp and a host of draconian home security policies infringing on civil rights. But on every count, Obama has reneged on his supposed opposition to the US war on terror. Indeed, under his watch, the US has expanded its militarist foreign policy.... Obama has done nothing to roll back draconian home security policies,.."
"The end result is the banana republicanization of America...where a small percent of the population has a disproportionate share or wealth and power, where ordinary people are exploited, often persecuted, and where profits are privatized while working households bear the burden of debt.". "Hes a fraud, a crime boss, a moral coward and serial liar, fronting for wealth, power and privilege." "Under Obama, however, corporate crooks take the money and run, rewarding themselves with generous bonuses, stock options and benefits, investing some abroad, and stashing the rest in offshore tax havens."